Tekke Bokhara: 8'5" x 2'8"
Size in feet8'5" x 2'8"
Tekke Bokharas, also called Royal Bokharas since the mid-19th century, are what most people imagine when we refer to Bokharas in general. They are similar to Mauri Bokharas, with their symmetrical columns of elephant抯 foot motifs (gul designs), but are distinguished by the addition of butterfly-shaped figures that alternate within guls. These rugs are one of the most popular types of hand-knotted carpets in the world due to their soft and silky feel and suitability to almost any space. They also are the most popular type of Pakistani rug. 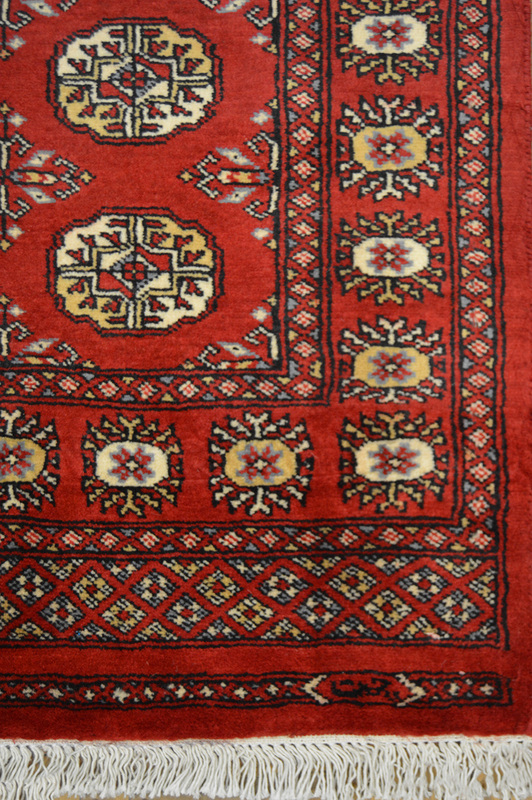 This elegant runner rug features a classic crimson red field and rows of elephant抯 foot guls in canary gold. 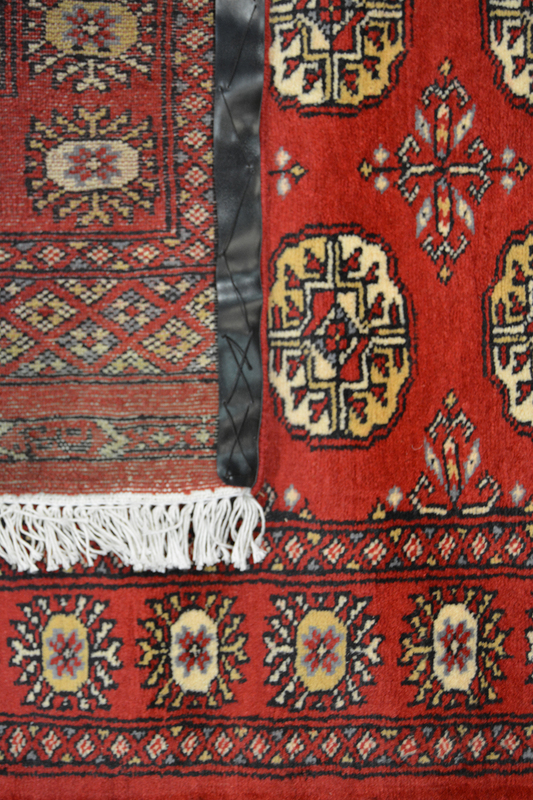 It is hand-knotted in pure wool by weavers residing at the foothills of the Himalayan mountain range. 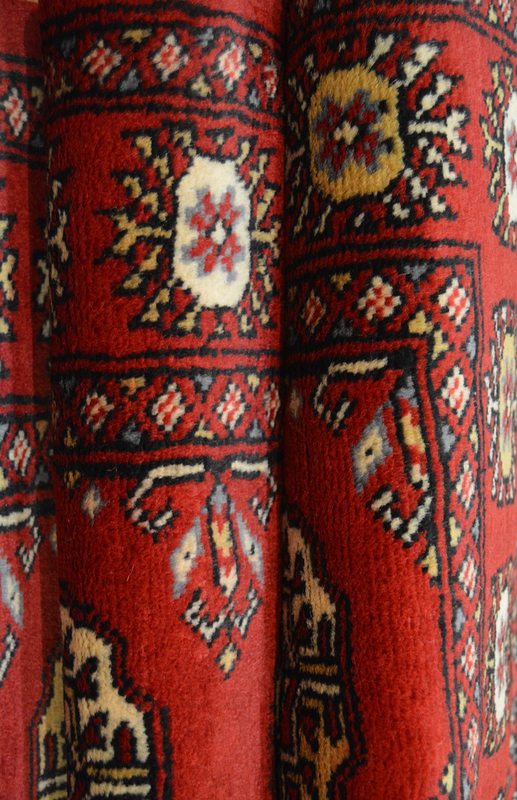 It embodies the traditional aesthetic found in carpets from the Caucus region. Its all-over design enhances any room with its pleasing symmetry.